The hardest nut to crack when developing anything in tech. About a dozen years ago, Jim Carrey released a brand new website. In mid-2000s, Carrey was still one of the biggest stars in the world with Golden Globe wins, the largest paychecks in filmmaking history, and a cultural relevance only rivaled by Mickey Mouse or the Beatles. Maybe that is a bit of an overstatement, but we can all agree Jim Carrey still grabbed America’s attention in 2007. So when he released this beautifully illustrated and imaginative website that was equal parts Salavador Dali and Stanley Kubrick, it was visually enthralling. The problem is that the site had zero utility. Visitors had virtually nothing to do on the site except take a look, read a bio, and leave. Seeing as Jim Carrey is not trying to sell anything digital, I doubt he cared. Still, his work-of-art website taught a valuable lesson to anyone paying attention: if you’re digital product doesn’t offer something worth doing, it will not last. Utility is the hardest nut to crack when developing anything in tech. Hundreds of millions of applications have been created and belly flopped upon release because they served no functional purpose. The Internet is littered with websites that offer nothing except a landing page. Even social networks as large as Twitter still struggle with what exactly users should do on it. The super fans of Twitter will erupt and explain its utility immediately, but continuing success is about achieving critical mass in a marketplace. For years Twitter has been on the brink of failure because its user growth has been paltry, and casual web users don’t know how to use it. That is the basis of utility; what is this product, and how do I use it? 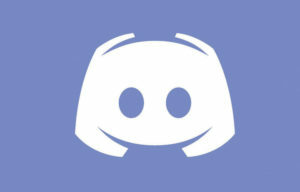 A fantastic, relatively new example is the chat application Discord. One of the most vibrant tech sectors is gaming. Videogames haul in billions of dollars, their users are passionate, there is an entire industry built around gamers simply watching other gamers play, and users want to socialize. Discord is basically a program chat space for gamers to discuss gaming through voice or text. Built for those purposes and basically nothing else, it doesn’t have connection issues, and users are connected without interruption. Also, seeing as how Discord “channels” are dedicated to specific topics and aren’t encumbered with video streaming or ancillary background services, users know they if you’re there to talk Destiny 2 or Red Dead Redemption, then that’s all they’re going to get. This is focused utility, and Discord is growing by millions of users each month. From this simple starting point, Discord has lasting potential to expand into other social chat services, but starting with a defined use and venue gives solid footing to become some version of Twitch of YouTube, should they choose to go there. The kings of the online environment have stayed at the top of their respective hills because they’ve not strayed from what users come there to do. YouTube is a video publishing and sharing site, Amazon is a marketplace for everything, Facebook is a platform to connect with friends and family, Google is primarily a search platform. Yes, all of these brands have branched out to offer dozens of other services, but their basic utility hasn’t strayed since day one.